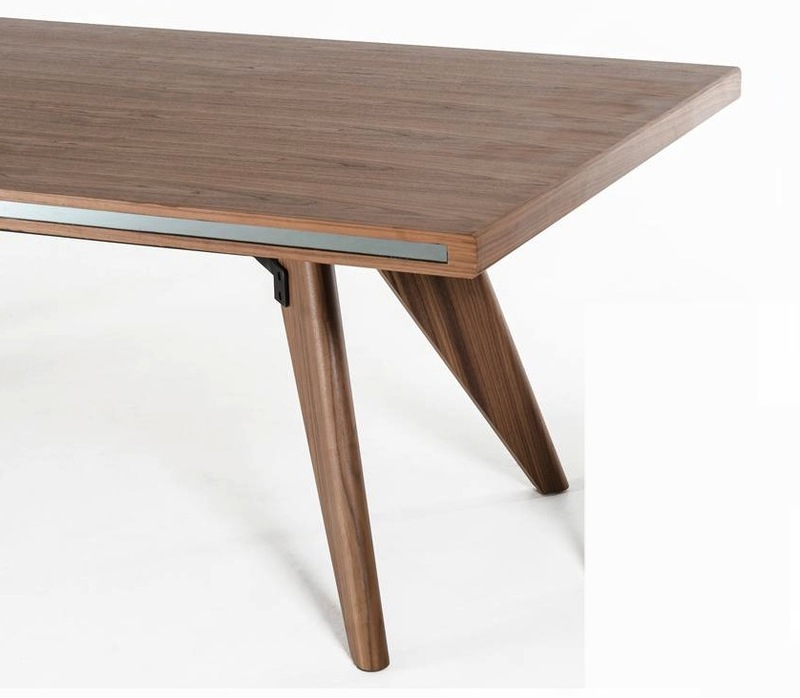 Astor dining table features a walnut veneer finish with mirrored accents on two sides of the slim rectangular tabletop. 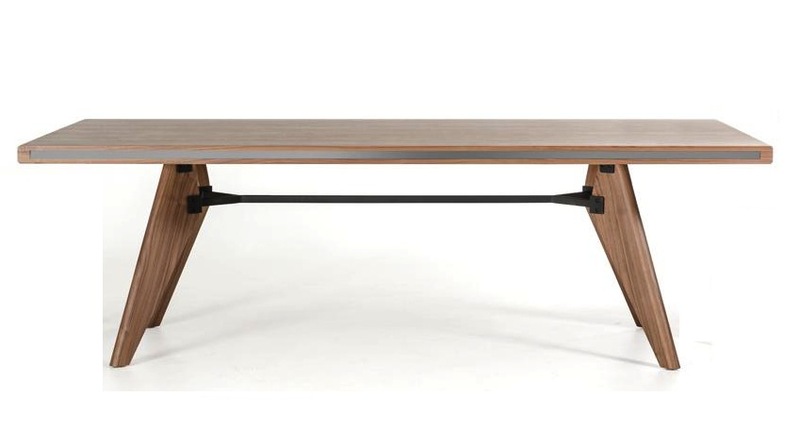 Four legs similar to a scalene triangle are supported by a black metal rod which parallels the mirrored accent piece. Astor collection is also available in coffee table, buffet, TV stand, and square buffet.